Ali-Akbar HeydariFar is Judge at Tehran Revolutionary Court. He participated in protesters trial. 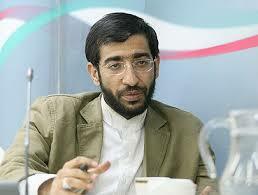 He was questioned by the Judiciary about Kahrizak exactions. He was instrumental in issuing detention orders to consign detainees to Kahrizak Detention Centre. On 13 April 2011, the European Union published the names of 32 officials of the Islamic Republic of Iran whom the E.U. asserts are “responsible for serious human rights violations” and is thus subjecting to travel bans and asset freezes.